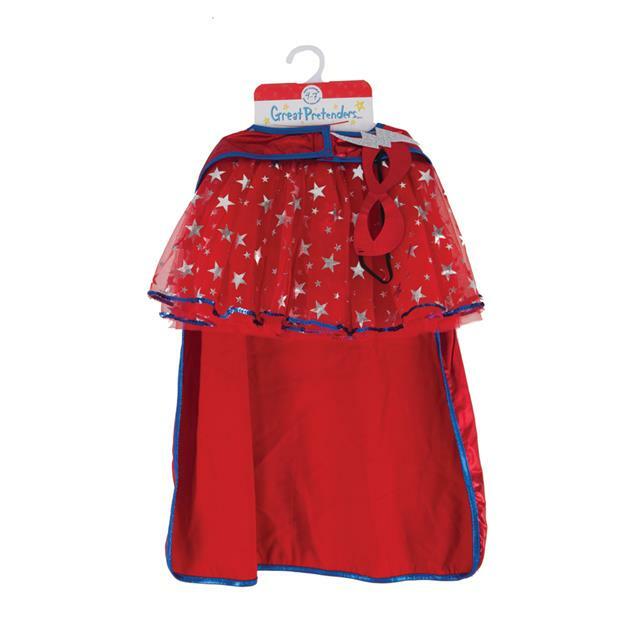 Great Pretenders™ Superhero 3-pc Cape, Tutu, and Mask Set, Size 4-7. 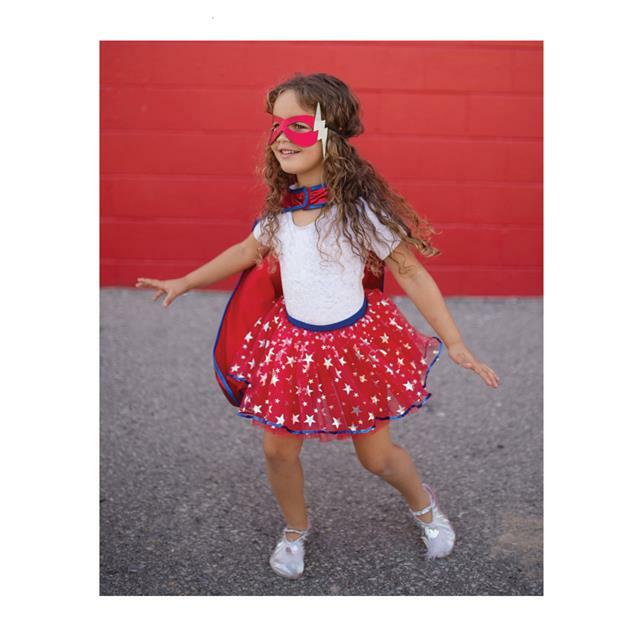 Superheroine to the rescue in this fabulous red, blue, and silver super set! Red skirt is embellished with countless silver stars and it's made with layers of glittery red tulle and trimmed with shiny blue sequins. A matching cape and mask complete this super ensemble! Skirt and Cape are Machine Washable. Made by Great Pretenders™. Great Pretenders™ products from Creative Education are made with durable, premium quality materials and exceptional workmanship.